As you know, everything is mobile, connected, interactive, and immediate. This is exactly why organizations need a highly agile IT infrastructure in order to keep pace with extreme fluctuations in business demand. 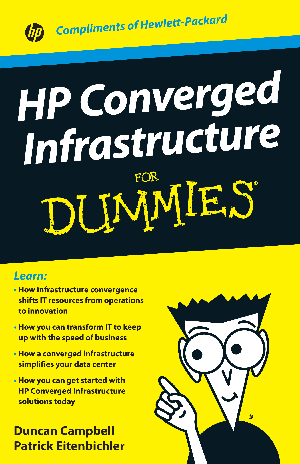 This book will help you understand why infrastructure convergence has been widely accepted as the optimal approach for simplifying and accelerating your IT to deliver services at the speed of business while also shifting significantly more IT resources from operations to innovation.